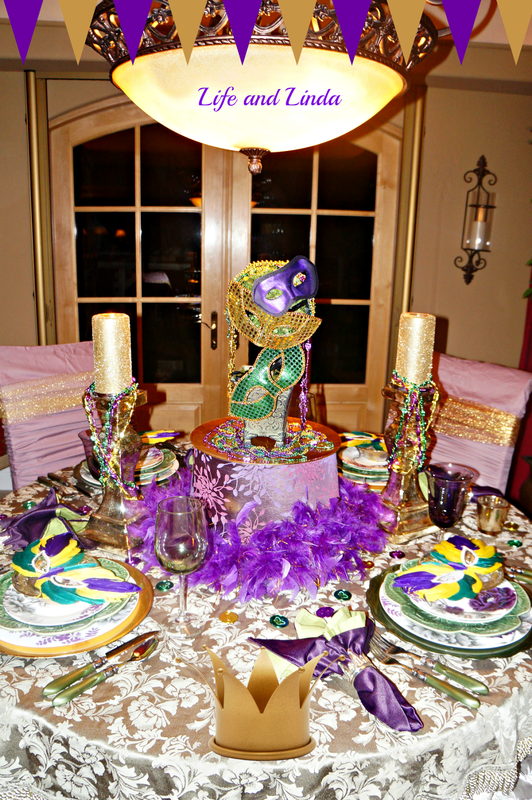 Tuesday is Fat Tuesday, so I thought I would set a fun Mardi Gras table in our Breakfast room. As we all know the beautiful colors really make everything pop! I started with green and gold chargers. I then layered the different colored plates and ended up with a gold rimmed bowl on top. The flatware is from Horchow. The green cabbage plates are always fun to use. 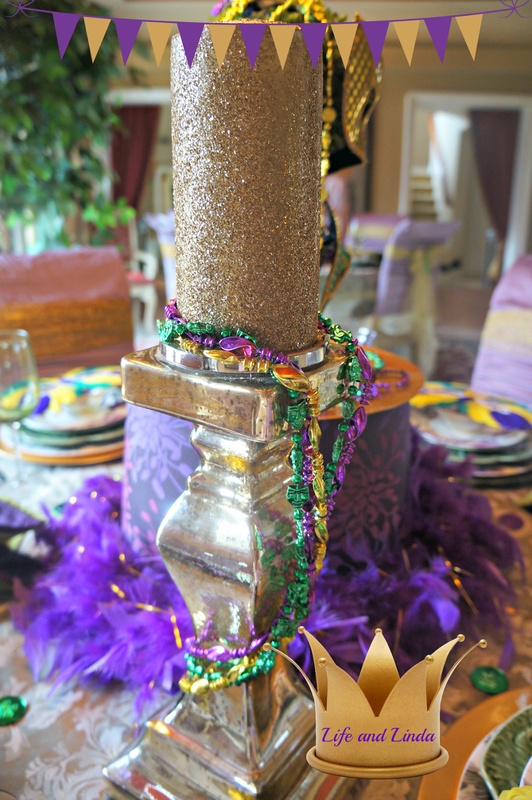 I created the centerpiece out of a lamp shade and added a gold charger for the platform. I then added one of our small topiaries to hang the masks on. I also added the purple fun boa to surround the shade. It's amazing how much you can find in your own house, just by looking around. 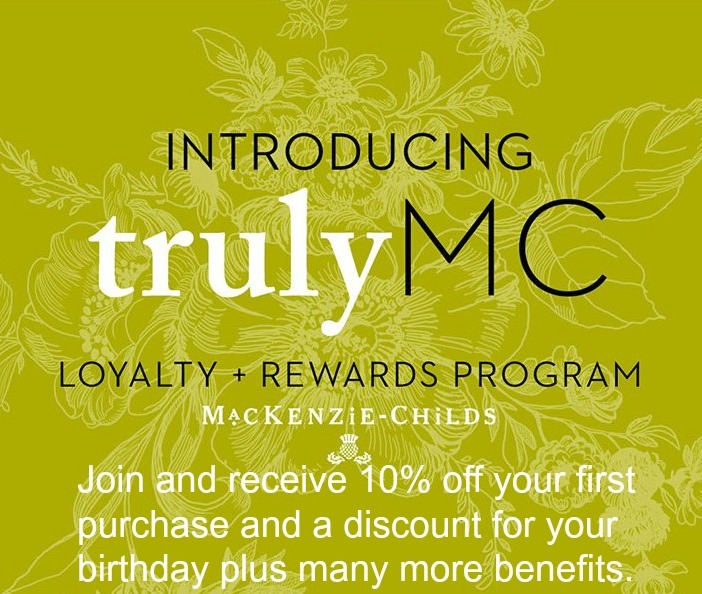 As Liz, from Infuse With Liz says, shopping your own house. Thank goodness for the Dollar store. 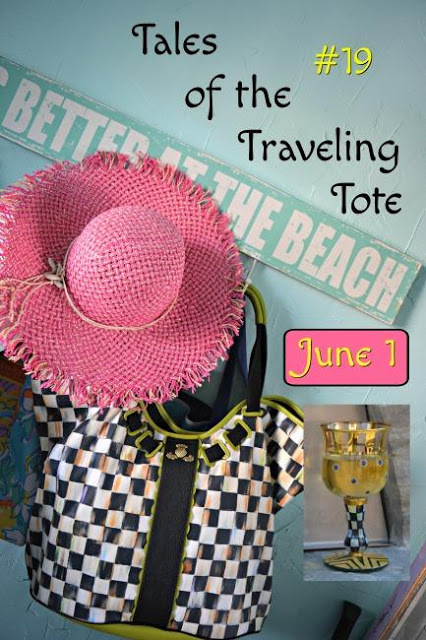 They have so many fun and inexpensive accessories. I found the masks, beads and coins there. 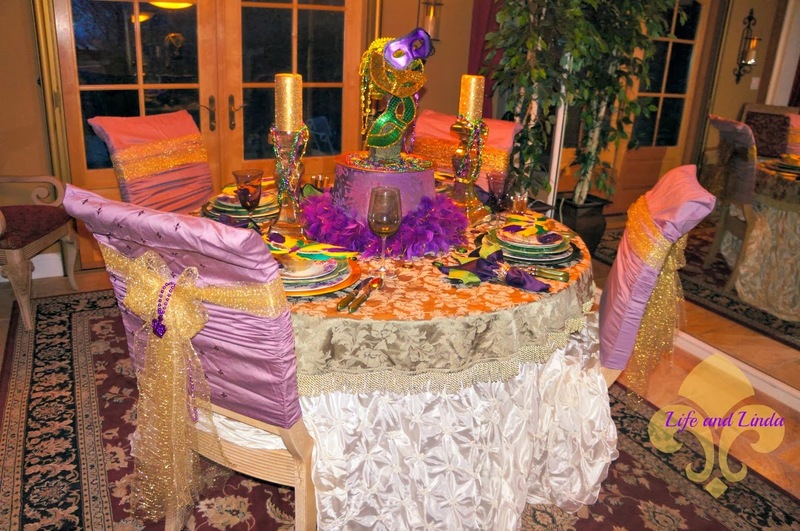 I love using the pinched wheel tablecloth with a small tablecloth as a topper. The green doesn't show up much here. I alternated green and purple goblets. 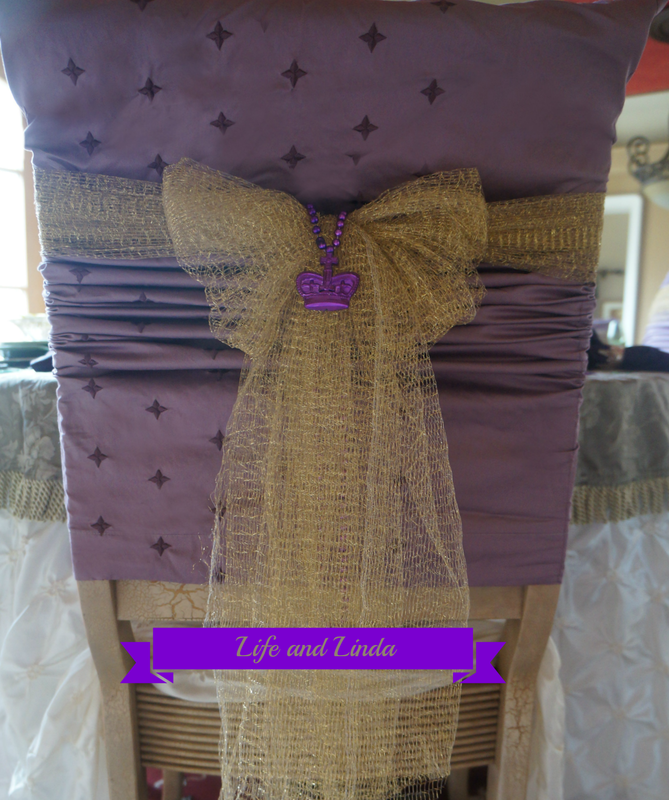 Crown napkin rings fit right in with this theme, along with purple and green napkins. Gold mercury glass candle holders with glitzy gold candles. I hope you enjoy your visit. 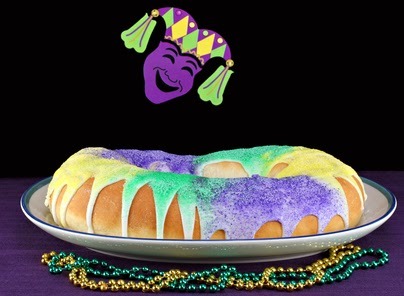 Have fun on Fat Tuesday. I bet it's FUN living at YOUR house!! Well, I know the good times are going to roll at YOUR house for sure!!! What a neat table, Linda! The centerpiece is really fun! And you always do such a nice job with your chairs!!! What a festive table! Love the centerpiece...very creative. 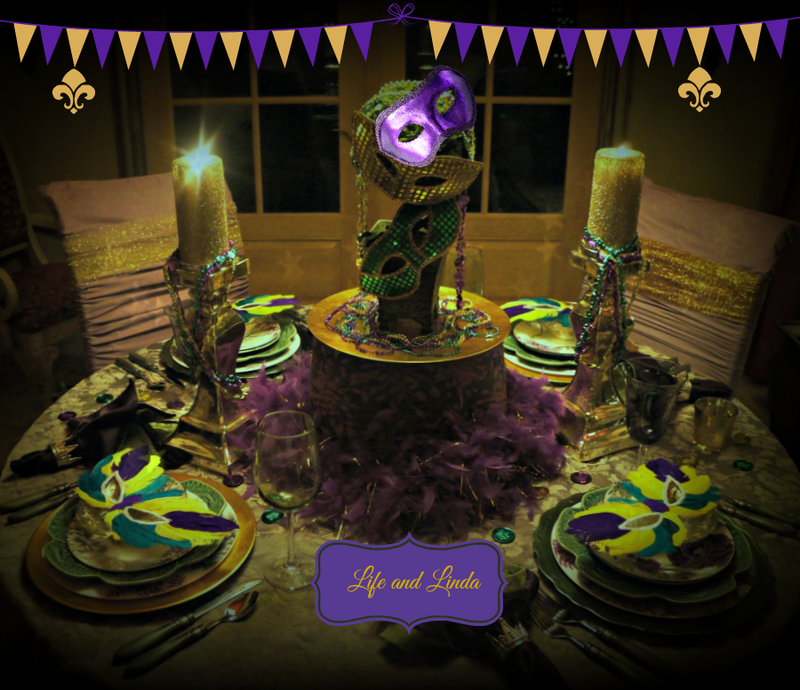 I always forget about doing a Mardi Gras table...then by the time it is time I have forgotten again! Maybe I could whip up a trayscape for the center of the dining room table! So Fun and Festive! Looks great in day or night lighting too! Laisser les Bon Temps Rouler! Bien sûr! C'est déjà le temps du mardi gras? Comme le temps passe si vite! 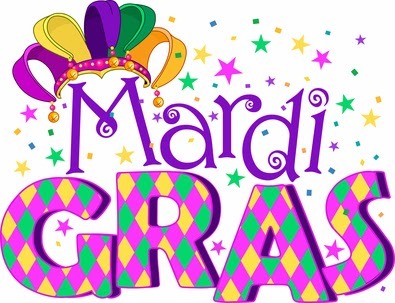 Linda, with our frigid weather here, I totally forgot that Mardi Gras is here and my 32nd wedding anniversary on Thursday! I am literally in a frozen time warp! Beautiful, as usual! 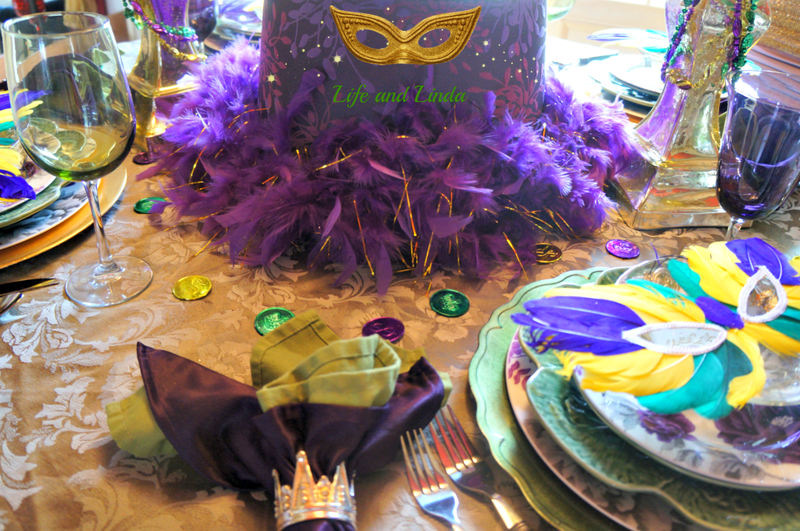 I love the colors of Mardi Gras and everything it entails. I also love being in the New Orleans area during all the festivities...so much fun! I wish I had your talent of making everything look so special! 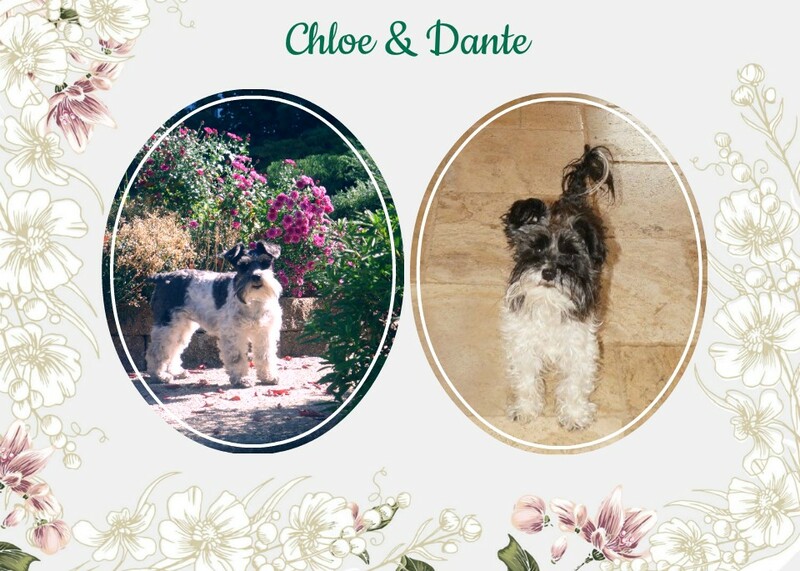 Fancy is as fancy does and that you do so well! And speaking of "well" I hope you are just that and feeling so much better than your times of past....With well wishes! 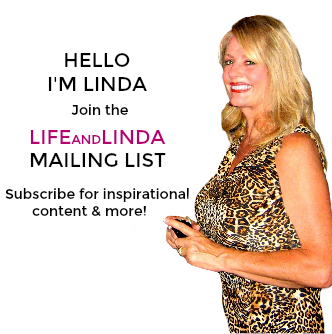 Awesome job Linda! Love the centerpiece- that's a great idea with the lamp shade. I never go to the dollar store- I swear when I go in they never have anything that interesting! 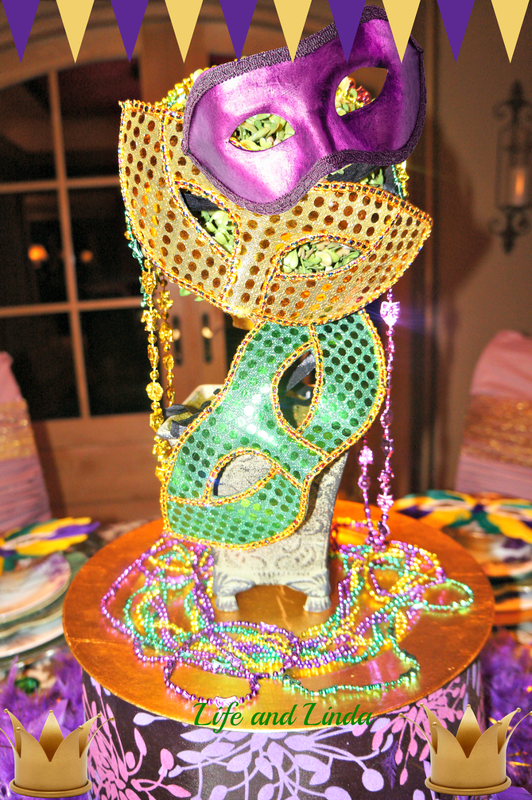 The masks, and beads really make a fun party atmosphere. 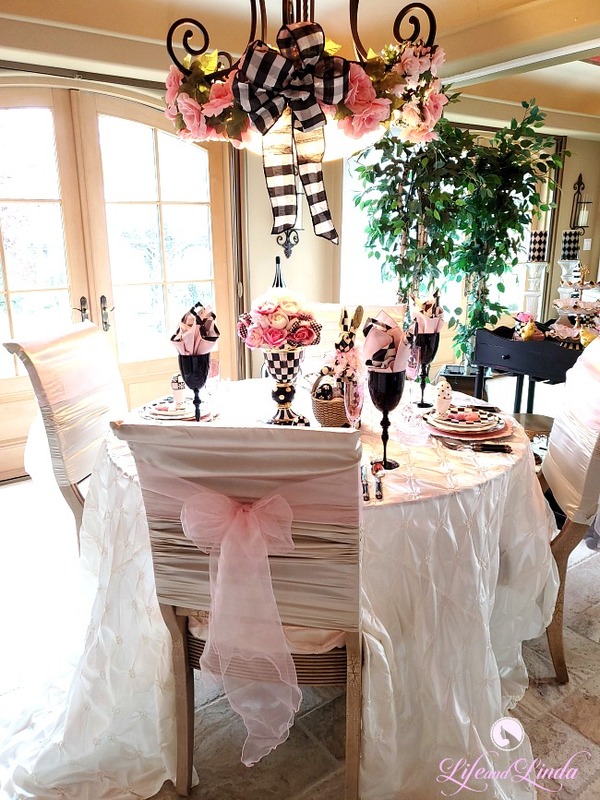 Love the addition of the dressed out chairs- the gold bows really spruce it up!! That last picture is really cool- love how it looks! 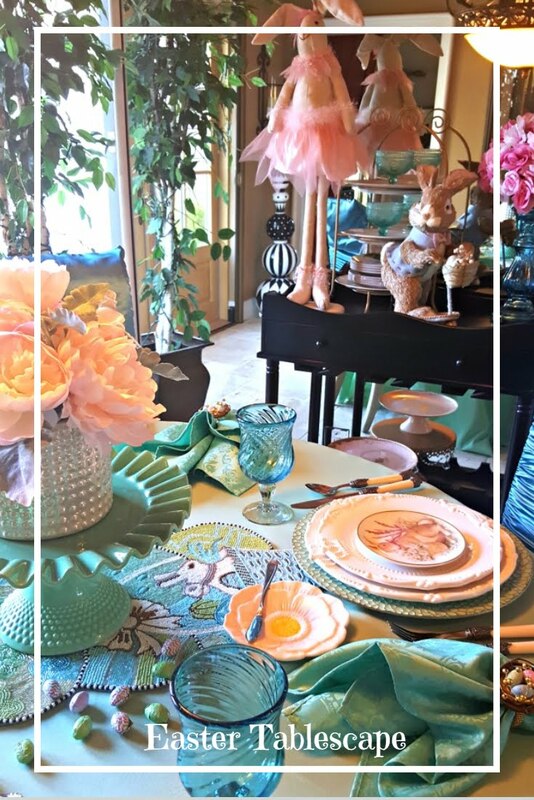 It's a beautiful and fun tablescape you have created Linda. What a fun decor for your table-scape!!! Oh wow, Linda! Green and purple look so festive when paired together with the right shades and you did it so perfectly. I MUST come visit you, Wonder Woman. No one know how to throw a party like you do. Gorgeousness! Beautiful, It snuck up on me this year, and I don't even know where my stuff is. I guess there is always next year! Wow Linda! 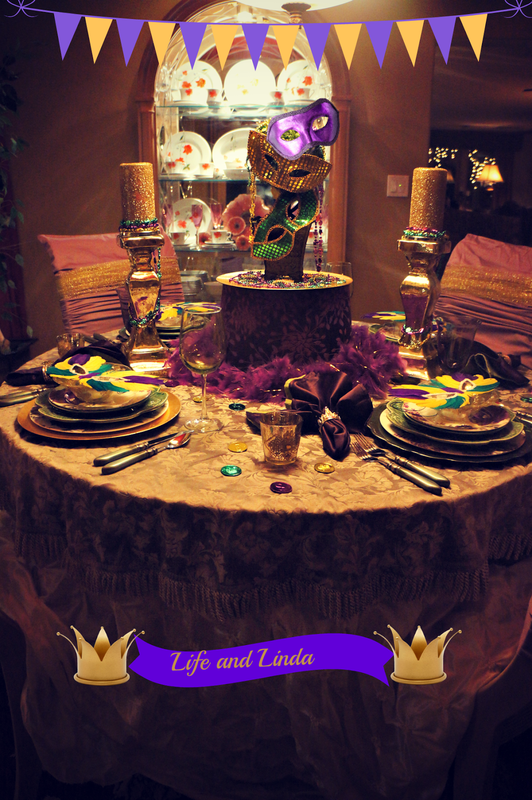 Your Mardi Gras table is amazing sweet lady! 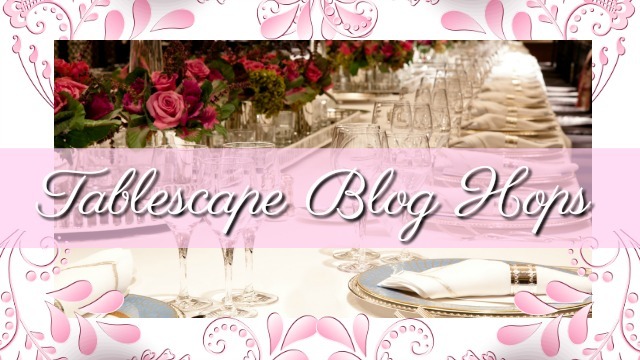 You are so very talented in so many ways...I adore this setting! The colors are spectacular! I'm sure you enjoyed Mardi Gras time too. 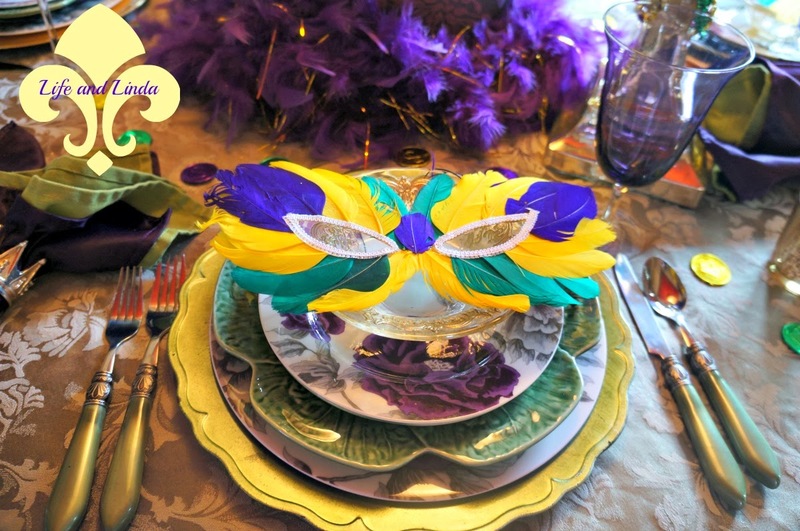 I need to get to making a fun table and with the perfect spirit of this New Orleans festivity! I hope is well with you lovely lady. 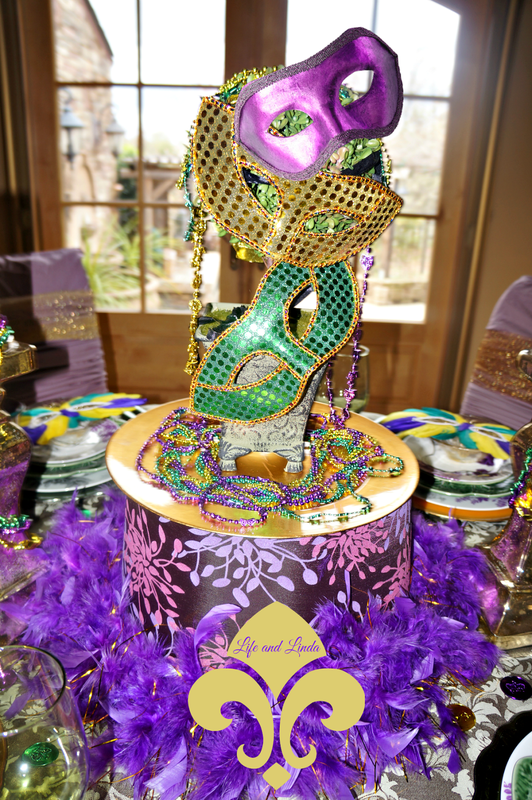 I love how you pulled together such a variety of elements and textures into this beautiful Mardi Gras celebration! So glad you linked up with Inspired Sunday!